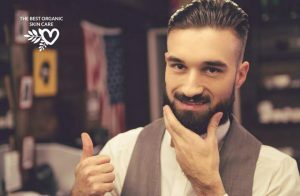 Many commercial and mainstream pre-shave oils contain artificial fragrances and preservatives. That is why you want to make your own, so you can avoid those potential toxins – and know exactly what is going into your skin care. You also want to make your own because you enjoy it, mixing skin care concoctions is fun! You can customize the scent, and the effects you are looking for. What Does a Pre-Shave Oil Do? Pre-Shave oils maximize the comfort of shaving. They increase the flexibility of your skin, minimizing cuts and irritation. Also, the razor blade can get closer to the hair follicle for a smoother shave. Shaving acts as a skin exfoliation, removing dead skin cells and debris. Using a pre-shave oil helps create a protective barrier on the skin to prevent over-exfoliation. As a moisturizing agent, it smooths the skin to prevent any nicks that can quickly happen to dry/dehydrated skin. When navigating a new razor, you can really benefit from a smoother glide. Pre-shave oil is able to soften whiskers; thus reducing friction and preventing ingrown hairs. Note that this product is not meant to replace your shaving cream. It is intended to create a healthy and protective barrier on top of the skin that is slick, causing razors to glide over smoothly for precision cutting. Shaving cream is an excellent complement to pre-shave oil. There are some key ingredients when it comes to making your own pre-shave oil that should be included every time. 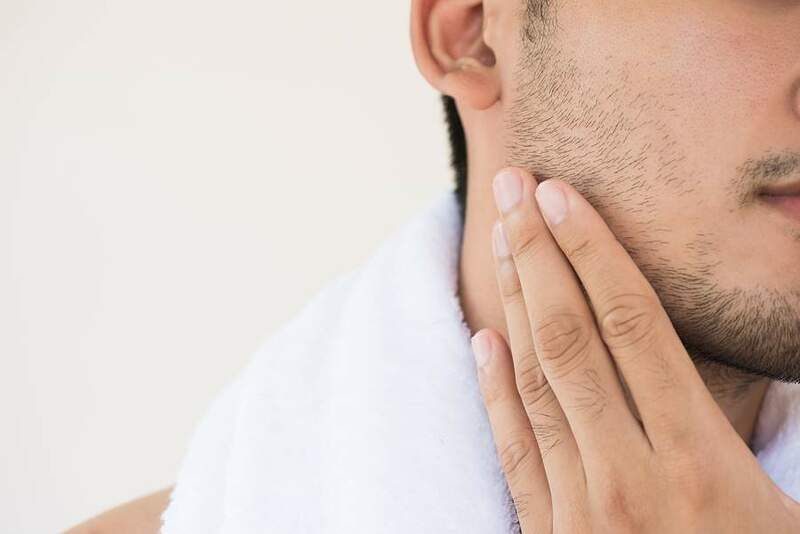 Castor oil: A pre-shave oil must-have. 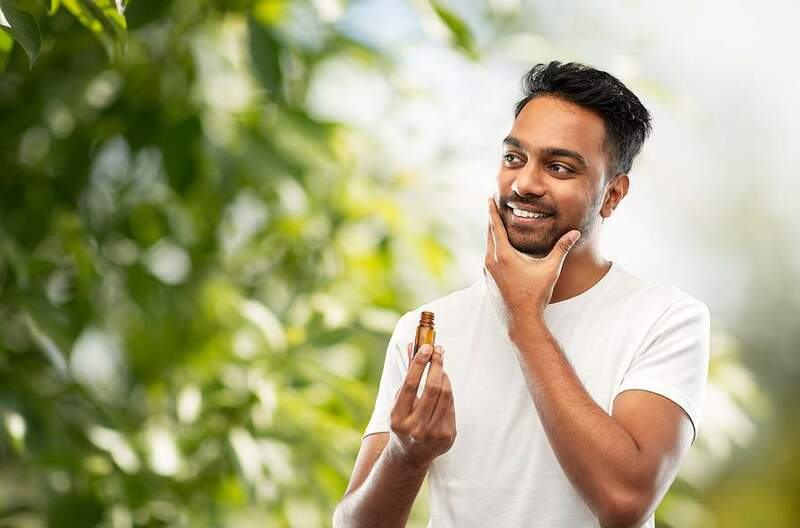 It contains undecylenic acid, a germ-fighting acid that can help prevent itchiness, sooth burning and irritations, and may even tame acne, ingrown hairs, or other sensitivities due to its cleansing properties. Olive oil is another oil recommended to include because it contains squalene, which offers anti-oxidants, anti-aging properties, and hydrates the skin. Generally, when trying out an essential oil for the first time, you should do a patch test. Rub a little on your inner elbow and watch for irritation for 24 hours. Some oils are less likely to irritate the skin than others. See this article for information on oils that are more likely to cause a reaction. 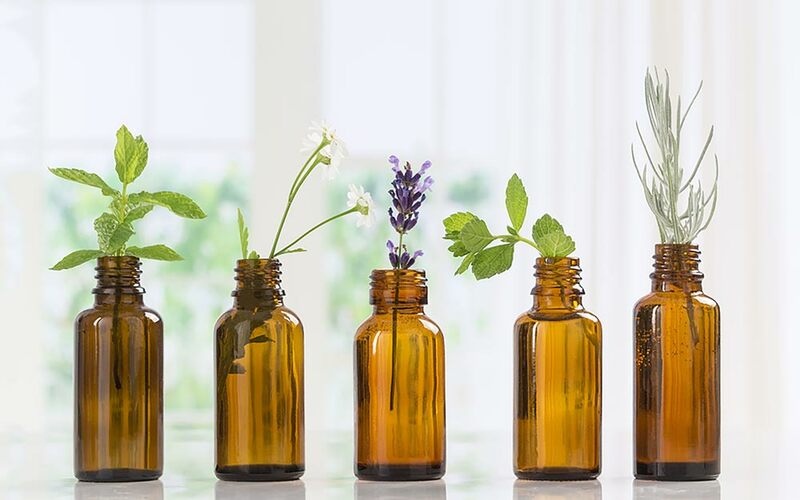 Essential oils offer a plethora of skin benefits. Rather than include all of those benefits here, I am going to put in some links if you are wanting more information about essential oils. 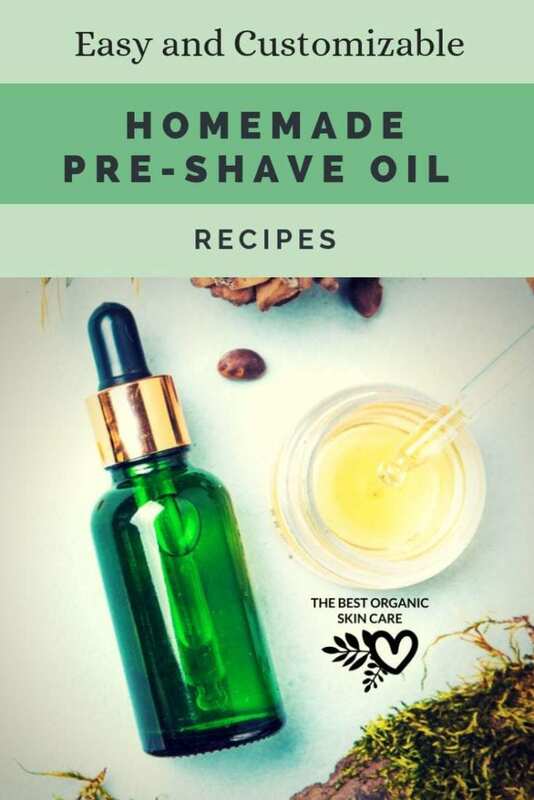 You want high-quality essential oils for your pre-shave oil recipes. The brand I trust, and use is Rocky Mountain Oils. You can read here why I love them so much. There are many, many carrier oils you can use in your pre-shave oil, each having their own properties and skin healing compounds. 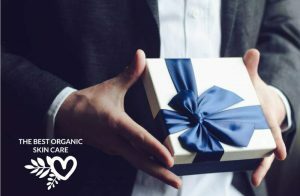 There are so many in fact that it would be too much to include their information in this article, so I have added some article links if you are looking for more details on various carrier oils. I find Amazon to be an excellent place to find carrier oils. Make sure you search for cold-pressed, organic oils for the best quality. If you are looking for bulk oil purchases, I recommend From Nature with Love. Storing your pre-shave oil in a dark glass jar is essential. Dark glass will protect your pre-shave oil from UV rays that will degrade your awesome creation. I love these dark amber bottles from Amazon, they are in a 30 ml size, so they are perfect for the following recipes. Before we get into the recipes, let’s go over a few things. All of my recipes are made to be a 2% essential oil dilution – This is the dilution rate recommended for daily topical use. If you find that your oil does not have enough scent, you can try going to a 5% dilution, but remember to do a patch test before using a higher dilution on your skin. If you want your pre-shave oil to be essential oil free, simply leave out the essential oils part of the recipe. The following recipes are made of up various carrier oils as well as how many drops of essential oils you need to get a 2% dilution. I have left the essential oil selection up to you. If you are needing scent-inspiration, I have added scent combos below the oil recipes. All of my recipes are made for 30 ml dropper bottles. Pour all ingredients into a mason jar for mixing, swirl them around to combine. Now funnel into an amber bottle and seal it tightly. You may have a little oil left over, so rub it on your skin! 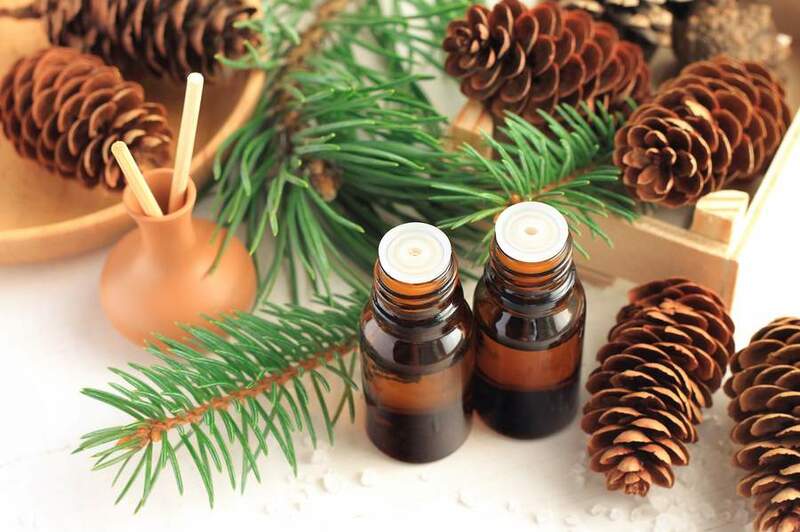 Remember to get your essential oils from Rocky Mountain Oils for top quality! Apply the needed amount to hands and spread into the area you will be shaving. Don’t use too much. Leave the oil to sit on your face/skin for about a minute to help soften the hair. You can do this while washing your hands from the excess oil. Apply your usual shaving cream or lather on top of the oil and shave as usual. I hope you enjoyed this article and these recipes! Let us know if you have any questions or troubles with the recipes, and let us know how you like them after you have made them! 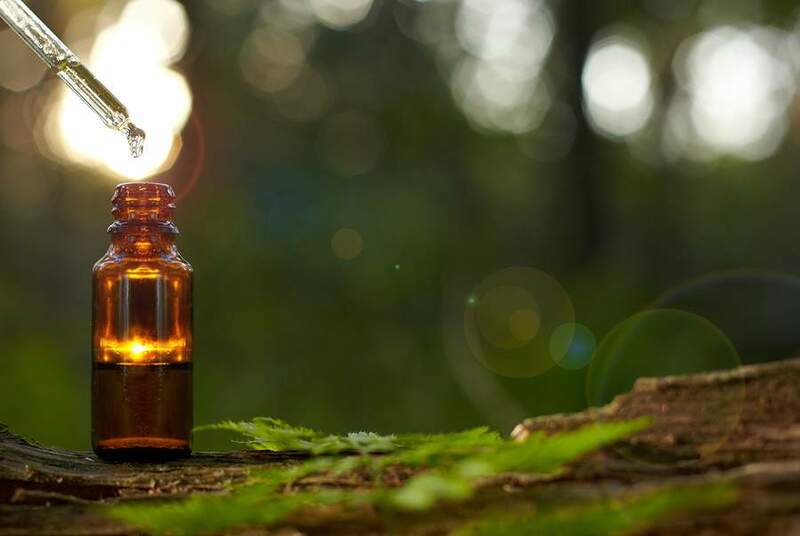 Head over to Rocky Mountain Oils for top-quality essential oils.